Therefore, I was eager to pick up these rules when I saw them become available. It is a fleet game, and designed to use Ships-of-the-Line more than Frigates and small craft. It is not really meant for ship-to-ship duels. However, it can accommodate those fleet types. For example the American Fleet is all 5th and 6th rate ships! I.e. Frigates. 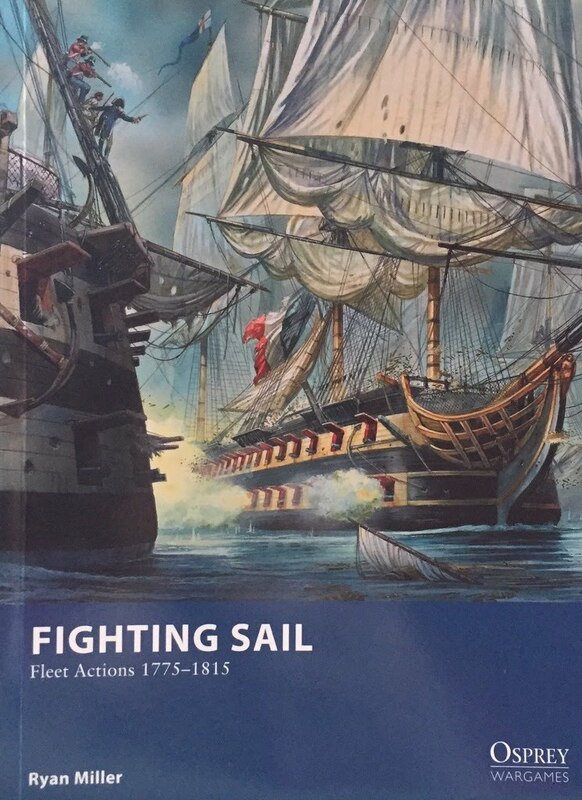 The book contains fleet lists and some special command rules for fleets including: French, British, Russian, Spanish, American, Dutch and Pirates. Some claim that it misses out on the Danish, Turks, and Swedes as potential enemies. I sort of agree since how can a British fleet pull a Copenhagen without a Danish fleet? Well, I guess you wouldn't really need the stats for a Danish fleet in that scenario since they were all sunk in port, but you get the idea! Anyway, I digress. The scale is 1/1200 and the GHQ Micronauts range is mentioned several times. However, it does cover how to use the larger 1/2400 scale as well. It does not give any indication on how to use the scale of the Sails of Glory ships though, since they are (of course) a unique scale. The author of this work begins by sharing a bit of his pedigree in the genre. He mentions that his first foray into naval wargaming was GW's Man-o-War rules, and that led him eventually to historical naval games. After trying those for a while, the Golden Age of Sail became his favorite. You can tell he knows a bit about the period as he peppers the rules with actual nautical lingo like; In Irons when sailing into the wind, Crossing the T when raking, Waring when turning sharply into the wind, etc. These official terms are actually part of the rules, so this may lead to a bit of confusion for us land-lubbers. 1. Initiative- Determine who goes first. 2. Sailing- Player with initiative moves all of his fleet, then the other side does. 3. Cannon- Initiative fleet fires, then the other side. 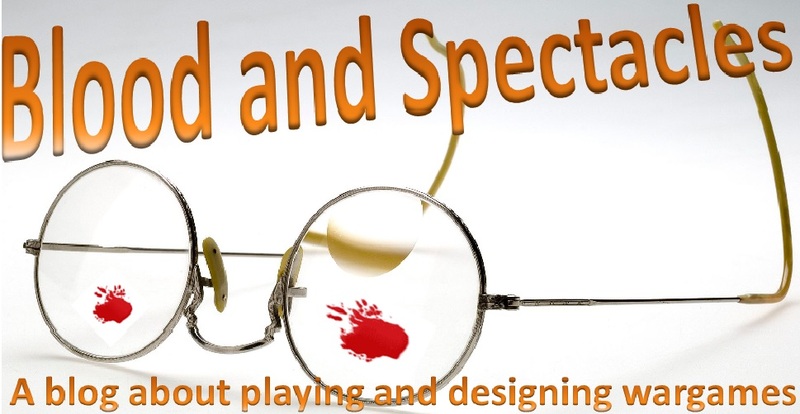 It covers the basics of movement, shooting, boarding, collisions, etc using a pretty simple and straight forward method. You roll a number of d6's based on the abilities of the ship in question. Depending on your relationship to the wind or target, you might have slightly different target numbers fo a success. In movement, you convert successes into how far and how many turns your ship can make. When firing it is the number of hits. When resisting it is to eliminate hits. It is pretty straight forward and easy to grasp, however a reference sheet would be handy. Thankfully, this game has a reference sheet you can photo-copy in the back. The basics of sailing and fighting are laid out clearly and include helpful diagrams. When moving, your relationship to the wind is important. Shocking I know! However, once you have determined the number of Sailing successes you have, you can maneuver without worrying about the wind, until your next turn. That means there are times where you might be able to move relatively quickly into the wind. To some, this may feel a bit odd as you don't pay the penalties for your moves until your next turn. Another thing that is interesting, is that no ship can just go straight, it is always maneuvering at an angle called . I suppose this is accurate to sailing but since I am not a sailor myself I really don't know. Some folks will also be horrified to learn that there is a mechanic similar to an "Exploding 6!" mechanic to incur extra hits. However, in most cases it is limited to a single extra potential hit, unless you are raking someone. I know this mechanic can be considered controversial. However, it seems to make shooting up close very deadly, just like the flavor of the period would suggest. I imagine battle in this game take a turn or two of maneuver, followed by a couple turns of brisk shooting, and then a decision in many cases. Only a lucky few would need to re-position themselves again for another attack. However, without an actual game I am guessing based on my reading of the rules. A final point that some people will not like is that games of this nature tend to use templates a lot for turning and determining how you are moving into the wind. Some gamers do not like this at all. In addition, you will also need damage and anchor tokens. These are all provided in the back of the book for copying. Each fleet has set number of moral points, as ships are hit, strike their colors, captured, or sunk it reduces the fleets morale. The first fleet to 0 moral loses. Interestingly enough, you can gain Fleet Morale by capturing enemy ships as prizes. The author recommends a 300 point per side game, so 30 Morale to start. That is about 6 ships per side. Of course, the game also covers some advanced rules in a separate section about wind and weather changes, multi-player games, sea terrain, and special ships. It then has a small selection of scenarios that cover the basics. As a bonus, the rules also have a couple pages of rules for single ship frigate duels, that have slightly more detail, but follow the basic rules of the game. In the Fleet Lists it also covers special characters, also known as Historical figures; and legendary ships. A nice bit of flavor. The book as diagrams to help illustrate its rules. It also has some shots of GHQ Micronauts line on the table and with some smoke to represent the battle. Nothing to inspiring but enough to give you the flavor of the gaming. Finally, it has very nice artwork from the Osprey library that really make you want to get a few ships and go to town. Overall, this seems like a pretty easy to learn but hard to master set of rules. Aren't those the best kind? It has just enough spice and flavor to make it fun, but not enough to overburden the game. 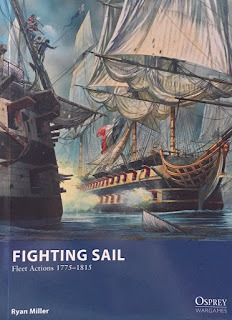 It definitely focuses on immersion and away from simulation and compared to other Age of Sail/Naval games I have looked at tries to simplify the book keeping and focus on the game play. However, it is also crew-centric as the main difference between ships is the abilities of its crew to sail and shoot which is reflected in the stats of the different Navies ships. A British 1st Rate and a Spanish 1st rate have different strengths and abilities on the table. Again, enough for flavor but not enough to be a deal breaker. They look to strike a balance between the strategic (list building and fleet org) versus the tactical (How you maneuver and shoot with your ships) to make a fun looking game. Let me know your thoughts about the game below and feel free to add any links to battles using the rules. I would love to see it!